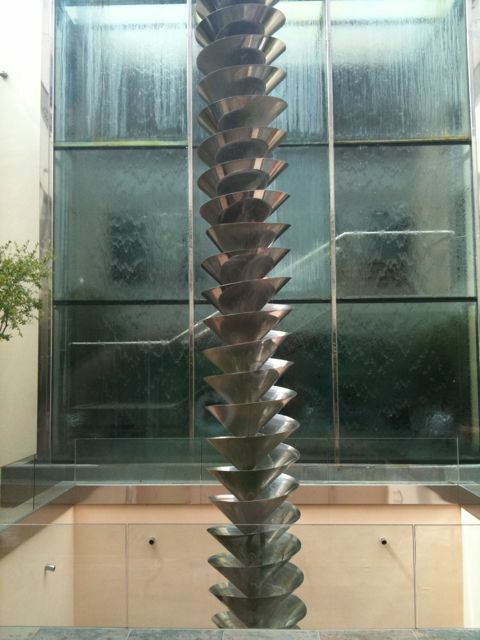 Whether they know it or not, this beautiful hotel in Barcelona has a 30 foot tall statue of an Archemedis Bryozoan; which is a shape that is immediately recognizable to those in the know. International blog post #2 in the books. This will go down as my first international blog post as I sit in the Sodermalm district of Stockholm, Sweden. Besides this being a beautiful city for it’s architecture and location next to the Baltic Sea, this city has uncountable numbers of outcrops. It seems everywhere you go there is bedrock poking its way through the city. Since I am the only geologically inclined person in our group I haven’t had a lot of time to stop and take a look. Today was my first chance to even look at a map of the bedrock. From what I have read it seems that Stockholm is a majority Paleoproterozoic granodiorites and metasedimentary rocks like metagraywhacke. There is a large outcrop just north of where I am staying that has a beautiful view of downtown with it. While I don’t have pictures (it was too dark when we got there) I was able to see what I thought was contact between the two major rock types, one was darker than the other. But, it might have been a shale vs. a sandstone in poor lighting. Even more exciting, while traveling by train with my face glued to the window, I saw in the outcrops folding, and possibly some shearing. Very cool stuff that will make it an easy decision to come back. Tomorrow we leave for the fjords of Norway, which will include its own bevy of geologic enticement, and then onto the Mediterranean coast. If anyone knows of some “must-see’s” along the coasts of Spain, France, and Italy please let me know and I will make a point to stop by. I realize my blogging consistency took a major hit over the past month (or longer), but that is not because I have not been writing; just not for my blog. 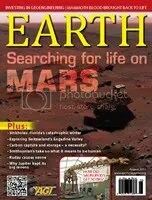 I have recently been writing news articles for Earth Magazine, the first of which was printed yesterday in the August issue. The article is about research headed by a team from Princeton University about the build-up of deep ocean carbon pools during the Cryogenian deglaciation. Help support this great magazine (and my ego) by going to your local Barnes & Noble, Borders, etc. and pick up a copy. You’ll find me on page 25.